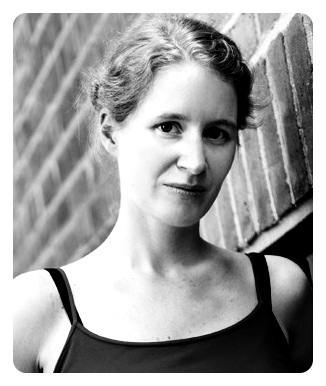 Swiss pianist Evi is a passionate teacher with a serious, yet flexible teaching approach. She has taught students of all levels and ages in Switzerland, France and the US for over 15 years. Her New York City studio has included up to 35 students and 16 student recitals. She has organized and taught in 2 summer camps for piano and other creative activities with her mother at the Château du Chêne in Burgundy, France. In 2012-2013, Evi worked with 2 teaching assistants, which led her to the next step, creating Rubato Music School. She received her Bachelor of Music, majoring in piano pedagogy, at the Conservatoire de Musique of Neuchâtel, Switzerland, where she studied piano with Paul Coker and chamber music with Gerardo Vila. In 2001, Evi moved to New York to study the Taubman approach to piano playing with Edna Golandsky. She received her Master’s of Music and Professional Studies Diploma with Pavlina Dokovska at Mannes College of Music. A recipient of numerous scholarships and grants, Evi is an active soloist and chamber musician with particular interest in New and Early Music. She has been acclaimed for her “lyrical and poetic sensibility” and her performances have been reviewed by the New York Times. She has premiered works by Arvo Pärt, Aleksandra Vrebalov, Alex Shapiro, Ryan Chase and Tomer Addadi. Festival appearances include: 9th Internationalen Brüder-Grimm-Musiktage, Germany, International Festival of Contemporary Performance, New York, Ecoles d’Art Américaines de Fontainebleau, France, and Tibor Varga Summer Festival, Switzerland. Evi took master classes with, among many others, Paul Badura-Skoda, Anatol Ugorski and Dominique Merlet. In 2007 she founded the New Music Ensemble “Lunatics at Large”, which made its Carnegie Hall debut in April 2011, and serves as its director and pianist. Besides her teaching and concert activities, Evi also serves on the board of the Piano Teachers Congress of New York. Students learn best when they are fully involved, connect to the music and enjoy themselves! So much can be learned effortlessly, when the student’s curiosity and enthusiasm are excited. The learning process then is a natural flow, a spontaneous process – playing the piano is an act of “playing” rather than one of accomplishing a task! My goal is always to create a special atmosphere in the lesson, like a bubble of music and exploration, in which the student and I may get fully immersed. Unforgettable moments have happened when the student, the piano, music and I are all connected: unexpected musical discoveries, startling aha-moments, emotional breakthroughs… Memories of such moments are definitely highlights for me as a teacher!